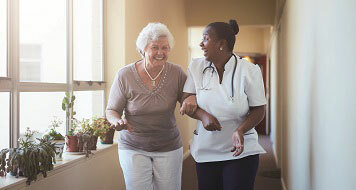 Despite the critical role they play in promoting healthy lifestyles among their patients, evidence shows that many nurses and other healthcare professionals currently do not meet recommendations for either physical activity or healthy weight. Indeed, a prevalence study by LSBU with Edinburgh Napier University shows that nurses in England are at least as likely as the general population to be obese and that those who smoke and are not physically active are less likely to promote healthy messages to patients. In order to address this worrying situation, Dr Jane Wills, Professor of Health Promotion, and her team have been working with disease prevention charity C3 Collaborating for Health, with funding from the Burdett Trust for Nursing, the Royal College of Nursing (RCN) and RCN Foundation, on a series of innovative projects. Addressing obesity in the workforce is recognised as important, not only for an individual’s health and to enhance the credibility of public health messages, but also in relation to reducing sickness absence among an ageing nursing workforce. “We initially followed a cohort of LSBU pre-registration nursing students, assessing their health at three different time points over a two-year period,” says Professor Wills. The study involved issuing pedometers to the student nurses, developing a website containing personal goal-setting information, and delivering education sessions on having healthy conversations with patients. The follow-on, larger-scale work then involved a systematic review on the impact of nurses’ personal health behaviour on promoting healthy lifestyles, a prevalence study, an effectiveness review of interventions that address obesity among nurses, and a survey of the views of nurses who are obese. A social marketing campaign was developed for NHS trusts titled First Impressions Count, which aimed to promote the importance for staff of adopting healthy behaviours. Professor Wills used this award to develop a social marketing campaign and film called First Impressions Count. This work to improve the health of healthcare staff has been recognised by a health innovation award from the Health Innovation Network South London. Professor Wills’ work on improving the health of student nurses is being considered by the Nursing & Midwifery Council for inclusion as a curriculum statement. The work has been presented at the RCN research conference in both 2015 and 2016, and also to NHS employers. The First Impressions Count short film was selected for screening at the Global Public Health Film Festival, held in November 2016 in Denver, Colorado.